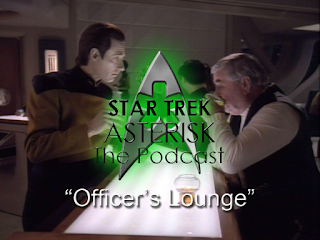 Welcome to another edition of the Star Trek: Asterisk Officer's Lounge. Today we'll be adventuring through the episodes "Family," "Brothers," and "Suddenly Human." In "Family," we'll learn what France became after it was apparently conquered by England. In "Brothers," we'll find out what happened to Lore and what Data's father has in common with Yoda. Finally, in "Suddenly Human," we'll find a Human living among aliens whom he has come to know as his family; his brothers. Coincidence? I think not.